B2B tech is big business. Not only does it encompass the SaaS world, which comprises an expansive and pervasive network of services that collaborate and compete at the same time, but it also includes high-end hardware and custom solutions. And as you’d expect, it carries over all the general challenges of B2B — notably the need to establish long-term client loyalty, and the difficulty of providing technical information in sales-friendly formats. That’s why UX isn’t just some trivial concern to be looked at when a gap appears in the schedule. It’s a leading priority. Any B2B tech brand that fails to optimize its UX will inevitably lose clients to more forward-thinking competitors. But how do you determine what needs improvement? It all starts with a UX audit. As the name suggests, a UX audit is a comprehensive top-to-bottom review of a brand’s user experiences. By taking a close look at all the points of interaction, you can identify any issues that may cause current or prospective customers to become dissatisfied with your brand or lose interest altogether. In this piece, we’re going to cover how you can run a solid UX audit for a B2B tech brand, taking into account the specific industry challenges and providing some actionable takeaways (as well as some relevant resource suggestions) to get you moving in the right direction. Let’s begin. Depending on how far you want to take it, a UX audit can get extremely granular. If you don’t carefully define the scope before you begin (taking into account how much time you can put towards it, how much money you can spend on it, and what you’d consider a successful result) then you can end up with costly scope creep and an audit that never really concludes. Consider this: while you may want to make your brand experience as polished as possible, UX improvements will (just like anything else) provide diminishing returns. The more you fix, the longer it will take to identify shortcomings, the harder it will be to meaningfully address them, and the less productive it will be to resolve them. At some point, further auditing will stop being cost-effective. Never forget that what ultimately matters to your brand is your bottom line. UX improvement is simply a way of improving that. Don’t make the mistake of viewing it as a pure act of generosity towards the users — that might stem from good intentions, but it will likely damage your brand. Having set out how long (and how much) you’re going to spend on your audit, you should select the tools you wish to use for your audit. There are plenty of solid free tools out there, but just as many paid tools that justify their cost through their greatly-expanded functionality. Google’s PageSpeed Insights will quickly identify any issues with your page loading speed and give you a simple list of suggested actions. Since slow loading is something that bothers everyone, this is essential. BrowserShots makes it easy to preview any given page across numerous browsers and browser versions. This is particularly important for B2B sites because larger businesses can be quite slow to migrate their technology — you may have current or prospective clients still using IE8 on their office computers, for instance. CheckMyColours is very handy for discovering how well optimized your color scheme is. Not only do you need to be concerned about potential accessibility issues, but you also want to ensure that all your on-page elements are property differentiated and that your interface is easy to navigate. 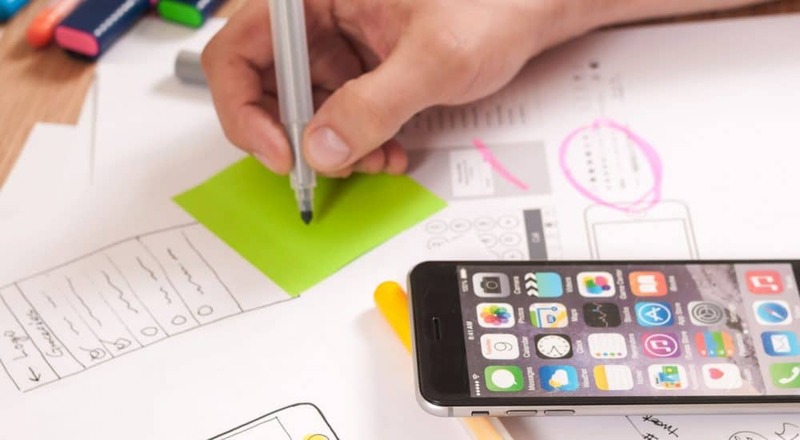 UserTesting equips you to run your UX by users unfamiliar with any of your systems, setting them specific tasks to pursue and seeing how they proceed. If you have someone you know review a system, not being familiar with it won’t lessen the likelihood that they’ll be biased in some sense. That’s why you need a degree of separation. Optimizely allows you to run segmented A/B tests on different UX elements. This is something you may need to do during an audit because you may otherwise be left speculating about the suspected effect of a particular element, feeling that it might be a weakness but not being sure that changing it would make a difference. Kissmetrics expands on the strong functionality of Google Analytics, taking the rich data and turning it into something much easier to use. Instead of manually trawling through analytics data, extract what you need and start improving immediately (but bear in mind that metrics are not as accurate as you might think). You don’t need tools for everything, of course. There are some things you can do manually. For instance, you can review your UX to see how it conforms to Nielsen’s Usability Heuristics, just spending time using your systems and trying to view them from the perspective of a customer. It will only be an approximation (and thus not as useful as real feedback), but it will help. Furthermore, remember that tools provide generalized results that don’t factor in context. There’s nothing here as wildly speculative as a website valuation tool, but even so — PageSpeed Insights only tells you how quickly your site responded in that one test, and doesn’t tell you how fast the site feels for customers using older devices on weak connections. Use the results to guide you, but don’t take them as gospel. From the first piece of marketing copy to the form gathering additional information, you must know exactly how one step in your marketing funnel leads to the next, and the same goes with your sales funnel for qualified leads. UX isn’t just about the top few pages of your website. It covers everything spanning the points of brand interaction. At some point in this history of your brand, you may have set out a comprehensive overview of the intended customer journey, factoring in each possible route to arrive at the buying stage. If so, you’re ahead of the game — the next step is to review each point using the tools you selected, customer feedback, and manual analysis. If your new customer onboarding email is really strong, make a note of it. If your brand introduction email is quite weak, jot it down. Don’t think too much yet about how you’re going to change anything. Just make sure you come away with a solid understanding of what purpose each point serves and how effectively it is currently serving it. It’s highly valuable to get impressions from strangers, as noted, but it’s also necessary to seek feedback from your existing clients. When you do so, you must segment them as much as possible to place their comments in context. How long have you been working with a client? What is your history with them? Have they been positive or negative about you before? Ideally, you’ll collate feedback from all types of customer relationships: comments from your best customers as well as from former customers who decisively ended their working arrangements. Ask about your strengths and weaknesses. What do your best customers think you could improve? If people who view you very favorably identify a particular UX weakness, you’ll know that it’s a serious problem. What do your former customers think you could have done better? It’s possible that a minor alteration in your communication could have kept a given customer happy. Try to press for specifics in the feedback you accrue. As a B2B tech brand, you may find that identified issues can be inconveniently vague (particularly if you work with non-tech brands that might not understand how to describe the problems they face). It may take time to patiently discuss an issue to the extent that you understand what’s going wrong, but it’s worth it. At this point, you’ll have set out your scope, chosen your auditing tools, reviewed your entire customer journey, and collected detailed feedback from your customers. This will have provided you with a strong list of issues: some minor, some major, and some arguable (the customer isn’t always right, after all — they might dislike you for another reason entirely and simply be looking for things to justify that dislike after the fact). To use that list, you must sort it and derive an action plan. Factor in how easy you think it would be to a make an improvement, as well as how much it would cost and how urgently it needs to be addressed. If an improvement is urgent, cheap, and fast, then action it immediately. Otherwise, make a commitment to working through the improvements at a steady pace, and to running another UX audit once you’ve covered most of them. UX is tremendously important for B2B firms (keeping customers happy across numerous interactions). By running a UX audit, you can figure out how to usefully proceed — try this process to ensure that you don’t suffer scope creep and keep your goals in mind. Patrick Foster is a writer and ecommerce expert for Ecommerce Tips. He’s really interested to see how UX standards change in the next few years. Visit the site for some actionable tips, and check out the latest posts on Twitter @myecommercetips.